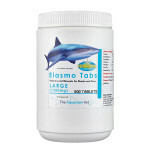 Vitamins and minerals for sharks and rays. 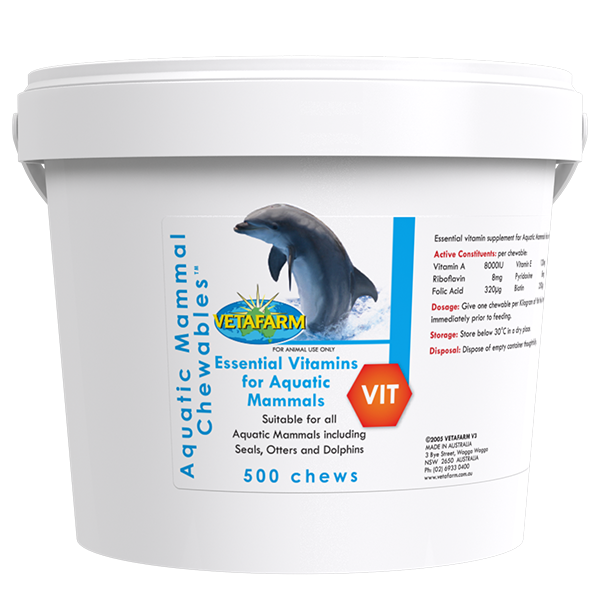 In captivity, we do not feed sharks and rays a completely balanced diet. 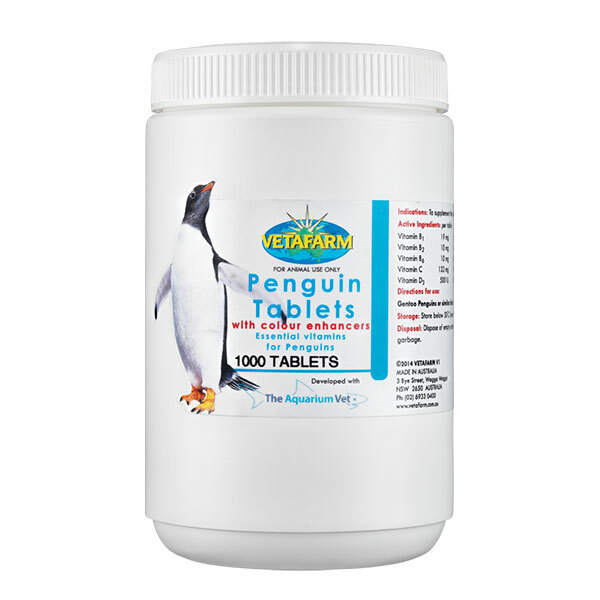 Feeding frozen fish is associated with vitamin deficiencies. 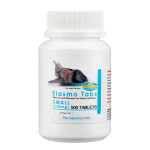 In closed systems with recirculated water there is a removal of many trace elements, especially iodine, which can cause thyroid pathology and disease in sharks and rays. 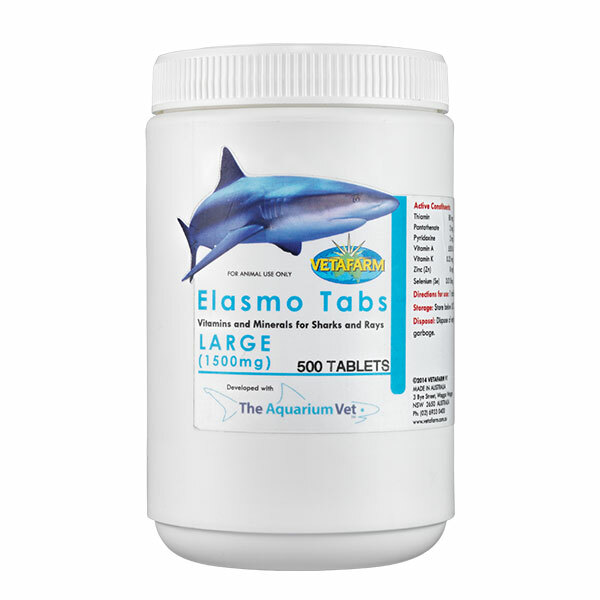 Elasmo Tabs are veterinary formulated with these essential vitamins and minerals to balance the diet of captive sharks and rays. 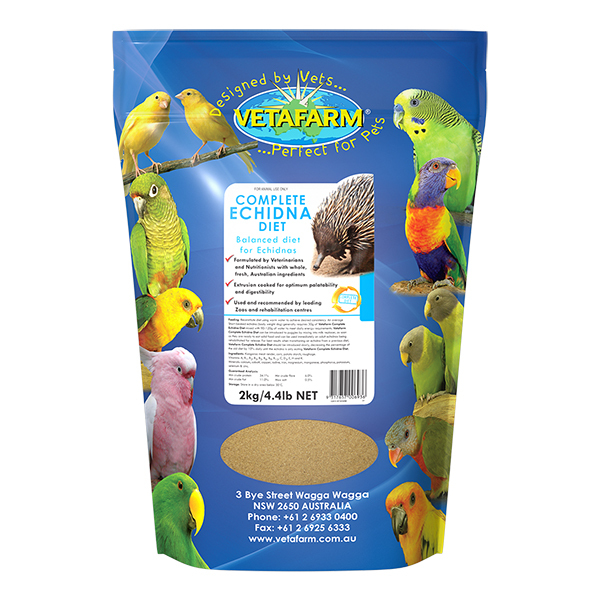 Assisting in the prevention of nutrition related disease. Sharks and rays being fed on frozen fish diets. 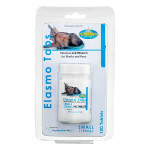 1 tablet per 250g fish fed, 3 times per week. 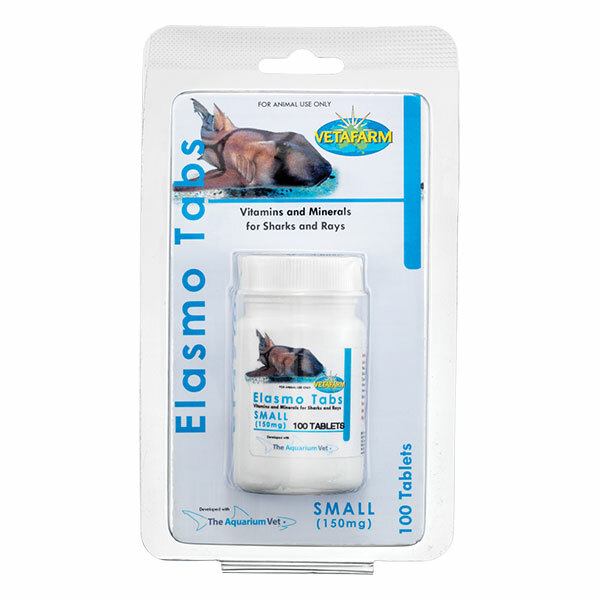 Vitamins (A, B1, B2, B3, B6, B9, B12, C, D3, E, K, H) and minerals (cobalt, iodine, iron, manganese, potassium, selenium, sulphur and zinc). Tablets to supplement fish diets in aquatic mammals.